Being good at academic writing is important for students, as well as for researchers and professors. However, none of us is perfect, so we all make mistakes. 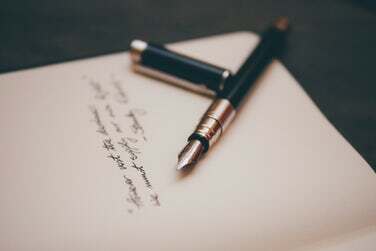 In order for you to understand how to avoid them, we have compiled a list of five most common mistakes in academic writing. Make sure that you know how to deal with all of them! Passive voice is often used in all kinds of writing, including academic writing. Sometimes, it sounds good, especially when it is inappropriate to use such subjective pronouns as we or I, or when it is more important to show the result of the action than the “doer” of this action. Or, in some cases, rephrasing a sentence to turn it into an active voice can make it sound too complicated or even senseless. However, commonly it is advised to omit passive voice in academic writing and replace it with active voice whenever it is possible. Very often passive voice sounds awkward in academic writing. Therefore, when you are rereading your paper, think about every time you use it and reflect on other ways to write the sentences into active voice. In many cases, it will make your ideas sound much stronger. It is good that your academic writing has many complex and sophisticated ideas. It is what makes it powerful. However, if you express the simplest ideas in the most complicated way, it is not good. No parts of your paper should be unclear or convoluted. Therefore, pay attention to dangling modifiers, meandering clauses, and similar things in your sentences. Remember that the main goal of your writing is not to show how intricately you can write. It is to communicate your ideas to your reader. What if you communicate your ideas in a way no one understands? In this case, your writing does not make any sense! Again, it does not mean that you should use the simplest terms and “dumb your writing down.” It means eliminating the excessive complexity. As a result, your writing should be both sophisticated and simple. Your reader needs to grasp your ideas easily and understand what exactly you mean. The best way to make sure that your writing is easy-to-read is to read your paper out loud. Thus, you will put yourself in your reader’s shoes and see what parts you need to clarify. Many writers tend to use a number of complicated terms in their academic writing to show how well they know the topic. However, the excessive use of these terms does not allow conveying the message to the reader in a proper manner. Even though you know that your paper will go only to people from your field who understand the terminology, you should still pay attention to the vocabulary you are using. Avoid going overboard with all the complicated and rarely used words and better replace them with simpler but more effective terms. Do not hide your ideas in obscure vocabulary and communicate them clearly instead. Footnotes are often used in writing since they allow adding more valuable information. However, at times there are too many footnotes and it makes the reader confused. Therefore, pay attention to the way you use footnotes in your writing and make sure that all your footnotes are justified. If the information in some of them is really important, see if you can include it in the body of your paper and remove the footnote. Plagiarism is a serious problem that can have very bad consequences. Sometimes it happens intentionally, but in most cases, it is due to careless writing and disorganized research. Therefore, pay attention to this issue, remember to always give credit to the sources when you are using other authors’ ideas, cite your sources, and give references. It is better to overdo with citing and referencing, so be very attentive. If you keep these common mistakes in mind and know how to avoid them, your academic writing is bound to be flawless! Educatingessays.co.uk is an essay writing company that provides our customers with a quality writing help. All the materials used for the essay and assignment writing are deeply researched, combined and editproved. Each paper provided by our company is created according to the customer’s demands and is plagiarism free.